The Internet allows Technical University of Denmark (DTU) to make its courses available far beyond Danish boarders. A working relationship with the American company Coursera is the latest example. In 2013, DTU has already made huge strides into the world of online education courses. To start with, DTU Compute completed a course designed to provide students with the same benefit regardless of whether they are based in Southern Denmark or Southern Korea. 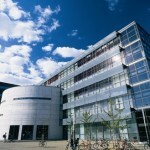 Then at the end of February, DTU announced that it is now to be represented on the learning platform Coursra.org, which provides users with courses from elite universities free of charge. In addition, a number of institutes use the site to upload lecture videos and other materials for the students. In fact, so much is happening in the online arena at the moment that no-one has a clear overview of precisely what is available. E-learning is a concept that covers all education involving the use of electronics aids. From the DTU LearningLab, teachers can access advice and guidance about how to incorporate e-learn9ng into their lessons – an approach that contains a range of potential benefits. In its various forms, e-learning can contribute to branding DTU, recruiting additional students and giving people, who live far, far away from the university the opportunity to complete an education. 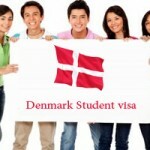 Career Opportunities in Denmark, Denmark, Denmark Immigration, Study in Denmark Denmark Education, Denmark Immigration, Migrate to De. permalink.